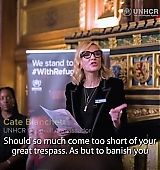 As previously posted, last week, UNHCR Goodwill ambassador Cate Blanchett joined other UNHCR supporters in a reception organized by the UN Refugee Agency and the National Theatre held in Parliament. Here are some photos, a video and article. Enjoy! 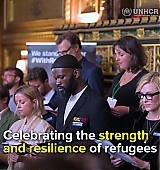 UNHCR’s Goodwill Ambassadors Cate Blanchett and David Morrissey, with actors from the National Theatre, performed songs and poetry on the subject of refuge to an audience of MPs, peers and refugees. 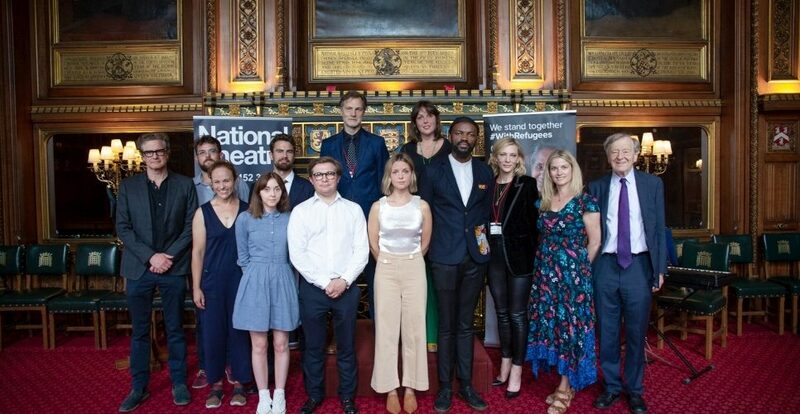 […] The event marked the first time that the monologue from Act 2, Scene 4 of Shakespeare’s ‘Book of Sir Thomas More’, written in 1593, had been performed in Parliament. Blanchett read the extraordinary speech given by Henry VIII’s chancellor, Sir Thomas More, as he sought to quell race riots in London on May Day, 1517. 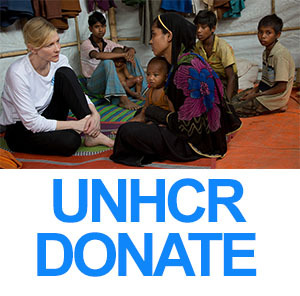 “It’s a call for compassion and empathy towards the plight of immigrants and refugees,” Blanchett said. “The sentiment and call for empathy and compassion is as relevant now as it was then when this speech was written.” […] ‘Moving Stories’ producer Emma Manton joined the actors Blanchett, Firth, Morrissey, Theo James Ruth Kearney and Lord Alf Dubs for a recital of Toksvig’s rhythmic poem ‘What They Took With Them’, based on the items that refugees told UNHCR took with them when they fled their homes. With #cateblanchett the actress ?? The 2018 Teen Choice Awards: VOTE for Cate Blanchett and Ocean’s 8!